They gel well with the rest of your staff. You can hire the most competent and well-educated employee on the face of the planet, but if they’re constantly clashing with the rest of the team, sooner or later you’re going to have a major problem on your hands. 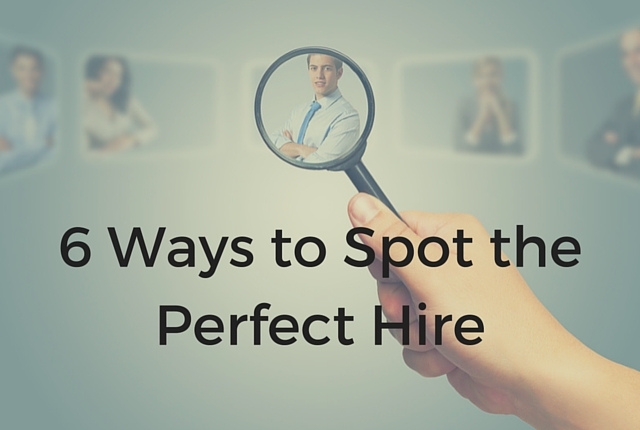 The perfect hire blends in seamlessly with the rest of the staff. No matter how well educated a new hire might be, there will always be a learning curve involved as you get them acclimated with the unique processes involved in working for your specific business. For this reason, a willingness to learn is an important trait to look for in a candidate. Those who aren’t able to learn new skills or adapt to how your business operates can create issues within your office. A commitment to your company for the long run. Turnover is highly disruptive to a business, so you want to be sure that the candidate you’re bringing on has a desire to be with your business for the long haul. When you inquire about their five-year goals, they should mention your company specifically, and not just general goals that only focus on their own career. A good attitude is important, but you also want to verify that the candidate has the technical prowess to execute the designated job duties properly and in a timely fashion. The person you hire should have strong moral values. If they’re in a position to make a tough decision, you want to be sure that they make one that most positively impacts the company. They should be honest and ethical, particularly if they’re involved with the financials of your company. Satisfaction with the salary that is offered. If your new hire constantly feels that they’re not being properly compensated, eventually they’ll begin to develop a negative attitude. Be upfront about the salary range as you interview, and ensure that everyone is satisfied with this figure before bringing a new team member on board. How do you spot a terrific hire? Share with us in the comments!